Bath bombs are my FAVORITE – and they’re so fun to make, too. I love all the benefits you can get from certain bath bombs, and let’s be honest, who doesn’t love tossing a ball in and watching it fizzle away? Who wouldn’t want a weird ball of Epsom Salt fizzing in your bathtub doing supernatural things to your skin? To put things simply it’s a ball of ingredients that include salts, colorants, oils and some random surprises depending on the recipes. It’s very similar to dropping an Alka-Seltzer into a glass of water. As the bath bomb breaks up it begins to release the fragrances and skin-conditioning ingredients. The bath bomb adds oils to the water which in turn help to condition the skin. Everything else? It’s a fancy show but that doesn’t mean you shouldn’t treat yourself to the experience! Bath bombs are produced by a company called LUSH. Their bath bombs are so nice. But the price tags can be a little steep. So if aren’t in the mood in forking over some of your hard earned cash to get some bath bombs then you can make your own at home! Ready to make your own bath bombs? There are so many different recipes out there which can be a little confusing if you’re just starting out so that’s why we really wanted to compile a list of some of the best bath bombs that one can make with a variety of different scents to suit anyone’s taste. This recipe can be found at Simply Stacie. 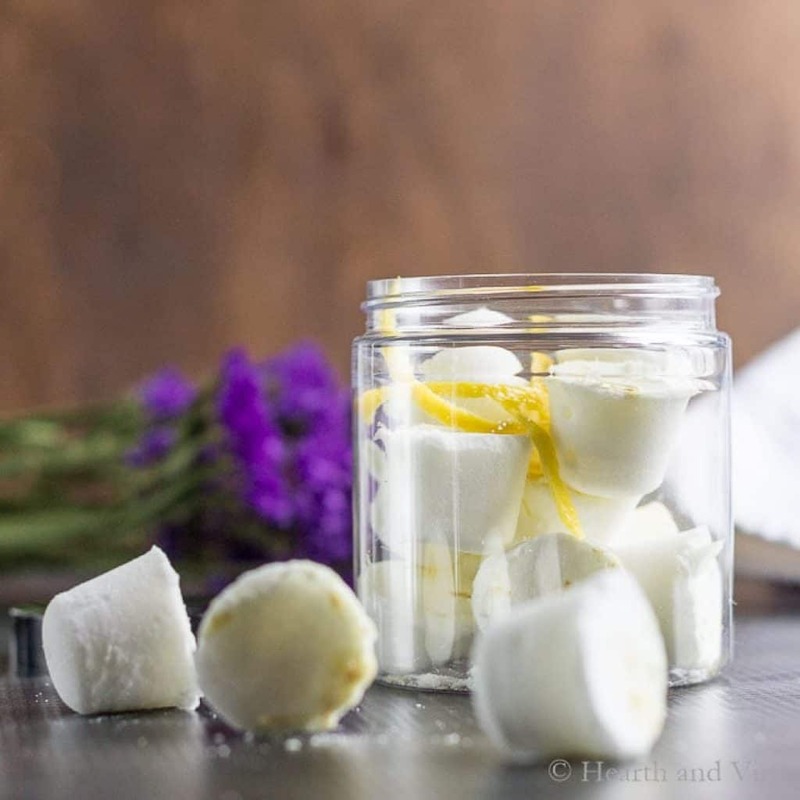 You can’t start a list of bath bomb recipes off without starting with a classic fragrance, such as these adorable Lavender bath bombs. I absolutely adore the scent of lavender and that is why this Lavender Bath Bomb is going to start off our list. This recipe can be found at Juggling Act Mama. These DIY Soothing Bath Bombs have the right combination of essential oils to help reduce anxiety. and help you unwind after a stressful day. This recipe can be found at Ann’s Entitled Life. Who wouldn’t want to bathe in rose petals? The ultimate spa feel, in your own home! This recipe can be found at Rebooted Mom. The orange supports a healthy mood and Lavender is SO relaxing, that they really do go nicely together. Try it you may be pleasantly surprised. This recipe can be found at A Mom’s Impression. The lemon essential oil smells great and is wonderful if you are looking to purify the air and calm little ones. So these work great for the littlies. This recipe can be found at Really, Are You Serious. This bath bomb recipe was inspired by “My Knight and Me” on Cartoon Network. Hop on over if you want to know more. These look good enough to eat, but I shouldn’t have to remind you, they are not sweets. But, bathing in the scent of candy cane, yes, please! This recipe can be found at Conserva Mom. We all get stressed from time to time, and a bath helps, so why not give these a go to help reduce anxiety and ease tension at the same time. This recipe can be found at Saving Dollars & Sense. I think these are a perfect idea. You get calmer kids, they get a little surprise in their bath. If that’s not enough encouragement for them to bathe… I’m not sure anything will work! This recipe can be found at Utensi. The colors in these are just so pretty. Make your own ultra colorful Bath bombs, to rival what you can find instore. This recipe can be found at Freebie Finding Mom. Yes, I’m aware this is the second peppermint bath bomb recipe on this list… BUT I really love the scent. It’s actually very fresh and it helps to focus. This recipe can be found at The Cents Able Shoppin. I think we have all heard how good turmeric is for us, so why not use it in your bath bombs and enjoy the extra benefits for you and your skin. Another easy to DIY recipe, and great to give as gifts! Okay, we’ve no idea if everyone loves bath bombs but we’ve yet to meet a person to tell us they don’t like them so therefore it’s safe to assume that everybody loves bath bombs. The fun thing about bath bombs is that you can pretty much customize them any way that you want. BUT, if you enjoy a shower over a bath then why not try these shower steamers instead? This recipe can be found at Hearth & Vine.